Grow your guest list grow with pre-event advertising that’s more than just boring words on a white page. 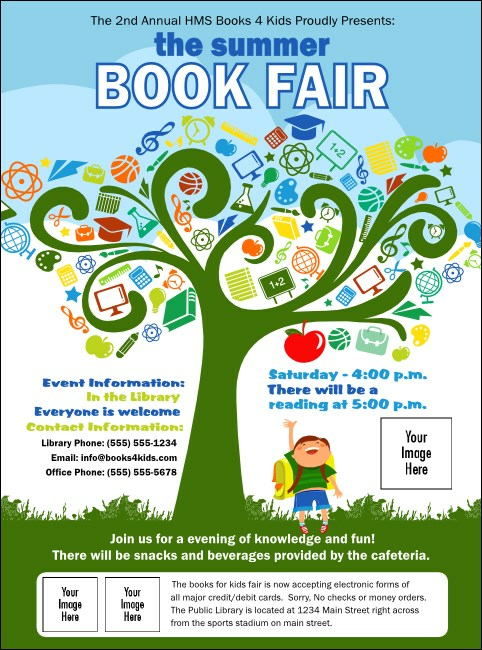 School Tree Flyers can capture the eye of the reader using the playful image of a happy child reaching for a big red apple from a tree filled with school supplies. This Flyer template has space for three unique image uploads. Translate your text into great advertising at TicketPrinting.com.